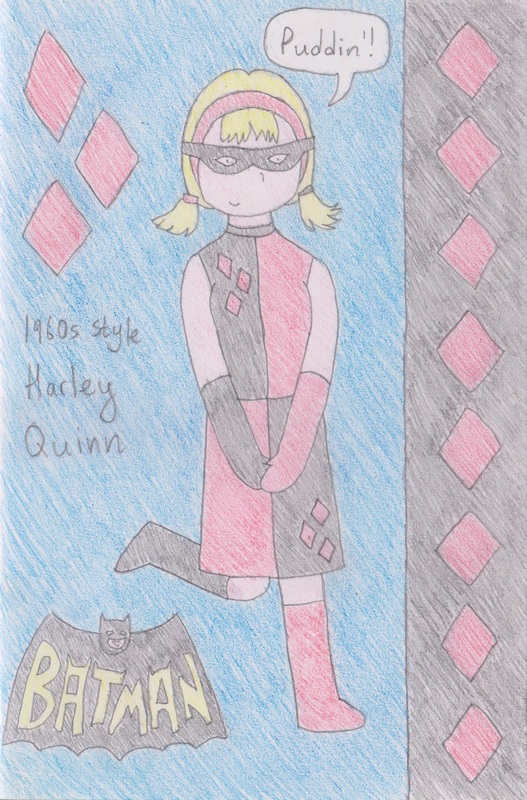 This is a drawing of Harley Quinn (my favourite baddy from Batman: The Animated Series - she is so adorable!) dressed in 1960s attire, akin to what I think she would have worn if she'd been in the 60s series of Batman (which I've seen a few episodes of). A fun costume draft. This would have been amusing! Thank you! She was fun to draw.